The Foreign and Commonwealth Office (FCO) announced 90 awards for Britons on recognition of their exceptional service to Britain overseas. 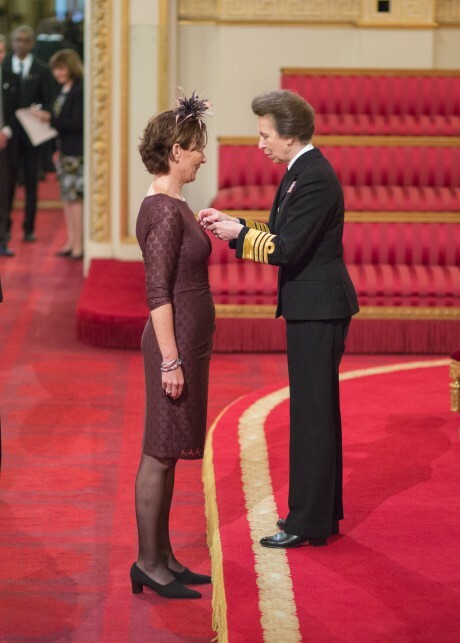 Ace Africa founder, Joanna Waddington, was awarded an MBE by HRH The Princess Royal on the 6th October 2015 for her services to deprived children in Kenya and Tanzania. In 2002, with co –founders Augustine Wasonga and Anthony Okoti, Joe conducted research in Bungoma, Western Kenya on the impact of HIV and AIDS on these rural communities. It was upon this research that Ace Africa was born. With her fellow founders, she established a holistic, long term development programme to address the devastating impact of HIV and AIDS on community and children with a focus on Health, Child Rights and Protection and Livelihoods. Starting on a shoestring, she was responsible for securing grants and support from individuals, trusts and foundations, including the first Comic Relief grant in 2004. Joe lived and worked in Bungoma for six years, a testing environment for any outsider. In 2008, she moved to Arusha, Tanzania, where she established Ace Africa (TZ) and where she continues to live and work as the Country Director. Through her courage, determination and passion and with the extraordinary support of the professional and dedicated Ace Africa team, Ace has transformed the lives of hundreds of thousands of vulnerable children and their families. On behalf of us all, we would like to thank Joe for her long-standing commitment and congratulate her on this remarkable achievement.